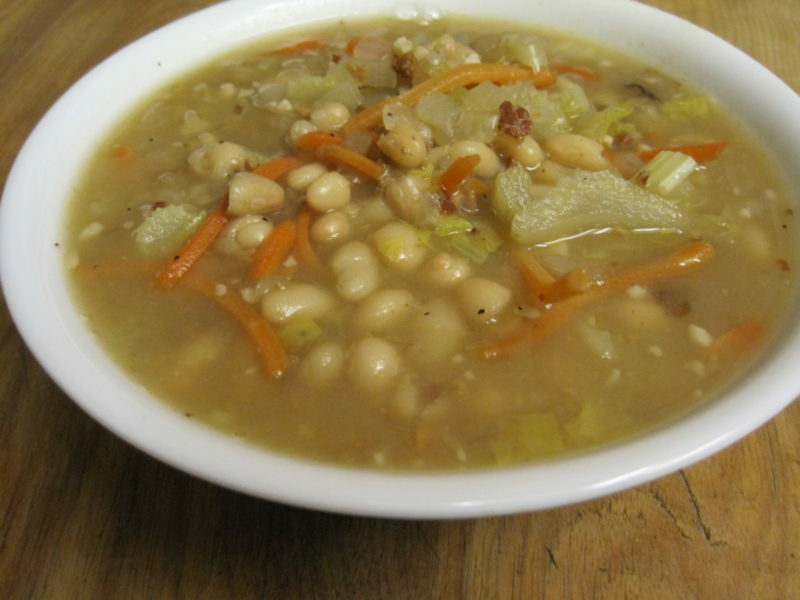 I previously posted a recipe for Navy Bean Soup that was made from dried beans, and while that recipe is delicious and one of our family’s favorite soups, it takes almost two hours to cook. This is fine when you have the time, but sometimes you need a quicker solution for making soup. This version of Navy Bean soup also gets flavor from the addition of bacon and cumin, so while it shares a name similar to our other soup, it has a very different flavor. Both versions are so good that we can’t decide which one is better, so you’ll have to decide for yourself, but if you’re in a hurry to get dinner on the table, this version wins. It’s ready in under 30 minutes. That’s my idea of a perfect recipe. If you’re concerned about the sodium content in this recipe, use low or no salt added beans and broth in the recipe. 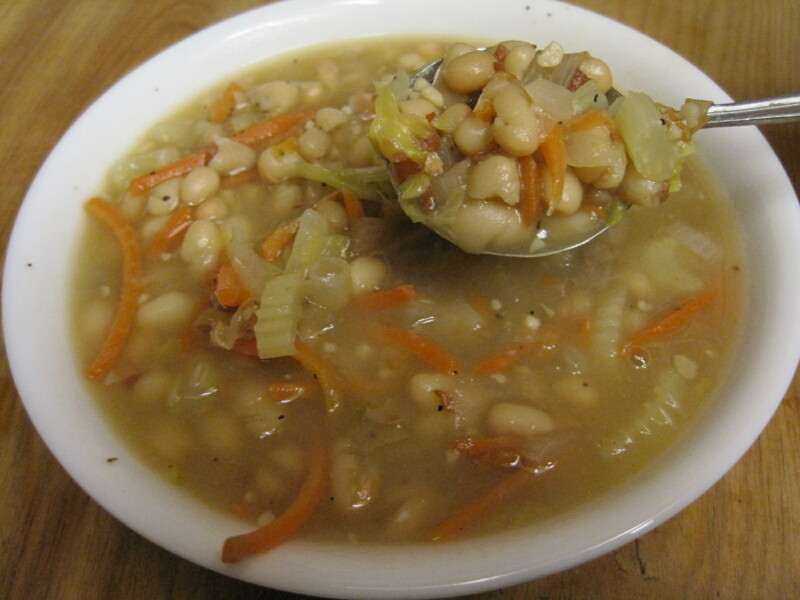 Give our recipe for Navy Bean Soup from Canned Beans a try, and let us know what you think by leaving a comment below. If you don't have real bacon pieces, you can fry 5 slices of bacon until crispy. If you cook the bacon, omit the olive oil and use the bacon grease to saute the vegetables. If you don't have chicken broth, use two chicken bouillon cubes dissolved in 3 cups of water. TOTAL COST OF RECIPE: $5.30 or $0.89 per serving. Heat olive oil in a large pot or dutch oven. Add bacon pieces, garlic, onion, carrots, and celery to pan and cook them until onions begin to become translucent. Add cans of beans and chicken broth to the pot with the vegetables. Stir in cumin and pepper. Serve. This is delicious with a piece of cornbread. Do you strain the canned beans? I did not drain the beans for this recipe, but if you prefer to drain them, you may. You will probably need to add some extra water, or broth, to compensate for the bean water that was discarded.